A gi provides tremendous benefits towards BJJ sparring because it slows down the action and forces the practitioners to be more methodical. Practitioners of this combat sport cannot solely rely on being explosive to slip out of submission attempts. A complete gi outfit consists of a gi jacket, a pair of pants and a belt that signifies your level of skill. 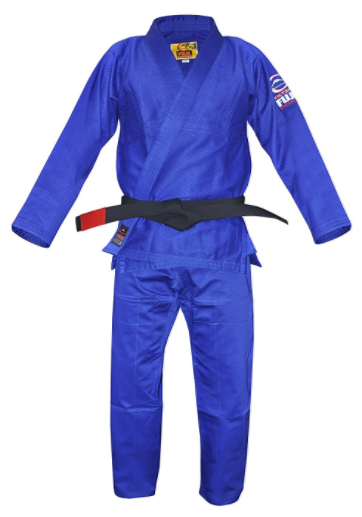 The BJJ gi fabric is sturdier than a karate uniform and it has a thicker and stiffer collar as well. The features of a BJJ gi is similar to a Judo uniform, except the BJJ gi has slimmer cuffs around the wrists. Below are 7 long lasting Gis recommended to BJJ practitioners of all levels. The gi above is the third version of the Tatami Zero G. This particular gi has specific features that makes it an ideal competition gi that is also great for training in the summer. Plus, it meets the International Brazilian Jiu-Jitsu Federation (IBJJF) uniform guidelines. The Zero G is an extremely lightweight gi that provides an advantage in terms of your mobility as you perform various techniques. The gi jacket and pants are tapered so that the uniform fabric is narrower towards an individual’s hands and feet. 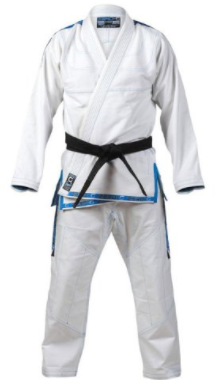 This tapered design is beneficial to grappling because it provides less fabric for the opponent to grab onto and it gives the uniform a better overall fit. Tatami’s Zero G ripstop pants is designed to be more durable and tear resistant than the average gi pants. A unique component of the Zero G gi is how they incorporate rubber into their collar and lapel to reduce sweat absorption and limit bacterial growth. Tatami was able to design the Zero G to be a visually appealing gi with contrast stitching and tasteful patch and embroidery placements. The All-Around gi is one of Fuji’s best selling gi and it is a fantastic starter gi for jiu jitsu practitioners. Its minimalistic design is ideal for those that enjoy the traditional look and do not want their gi to have a lot of patches on it. 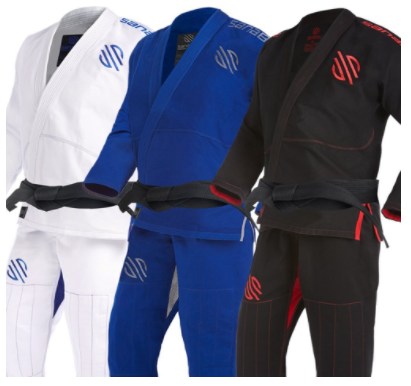 Individuals preferring the their gi to be more flashy and to stand out among their fellow teammates should checkout ﻿﻿﻿Fuji’s Sekai Gi. The thickness of the All-Around Gi makes it a midrange gi that is not too heavy, but thicker and sturdier than the ones designed to be lightweight. The result is a reliable gi for daily use that is great for competition as well. The All-Around can shrink a lot if it is exposed to high heat during the washing and drying process. If this gi runs quite large on you, you can take advantage of this shrinking occurrence. To minimize the shrinkage problem, the All-Around gi needs to be washed in cold water and hung somewhere for it to air dry. Fuji designed their All-Around gi with traditional components, such as using cotton twill material for their jacket collar and pants. It is one of the most budget friendly options on the market and is available in colors desirable for male and female BJJ practitioners. Another ultra lightweight gi on this list is created by the company Sanabul. Sanabul has only been established a few years ago, yet their popularity has surged and their martial arts products have flooded the market. The Essentials BJJ gi from Sanabul has been a hot item due to the quality and features offered at a price that is hard to beat. Additionally, the Essentials is a single weave gi, which makes it an wonderful choice for training in hot weather. Its tapered cut is good for competitions or sparring in general. Despite being claimed as preshrunk fabric, Sanabul states that this gi will only not shrink under the circumstances that the gi is air dry after being washed in cold water. However, the preshrunk fabric does reduce the amount of shrinkage that may occur when the gi is exposed to hot water and dry heat. Sanabul provides an impressive visual sizing chart for their Essentials gi, which makes it easier for customers to choose the right size. Sanabul gi pants has 6 belt loops for the drawstrings to run through. This design gives their customers a greater ability to tighten the gi pants to a more secure and desirable level. 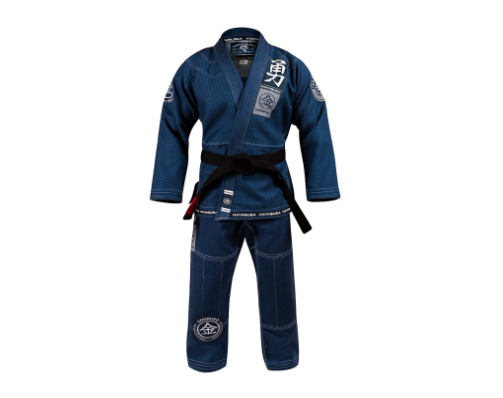 The Sanabul Essentials gi’s overall design is slick due to its contrasting colors and good-looking embroidered logo. The Air gi is a fantastic gi for BJJ practitioners needing something to wear as they endure the heat of summer. This gi from Flow Kimonos is known to be light and breathable, which are excellent characteristics for dealing with the previous problem. Despite being a lightweight gi, its fabric has high quality construction with reinforced stitching at designated weak points that makes it strong and durable. The jacket is composed from 100% cotton and is quite stiff upon delivery. Therefore, it needs to be broken in and washed multiple time before it softens and becomes more comfortable. Flow Kimonos constructed their 8 oz. gi pants from a tough ripstop material with moisture wicking capabilities. Accompanying the pants are thick drawstrings that are an improvement over the traditional flat cotton twill drawstrings by being better at not becoming undone during training. The Air gi’s preshrunk fabric reduces the total amount of shrinkage that may typically occur. The Flow Kimonos Air gi is a fantastic choice that is well priced while being comparable to the higher end gi’s. The Goorudo gi is Hayabusa’s readily made competition gi that is compliant with various competition uniform guidelines like the IBJJF. This is definitely not your regular lightweight gi. On the contrary, it is built like a tank with its remarkably thick jacket and 12 oz. pants. To complement the strong fabric weave design, Hayabusa reinforced specific areas to improve the Goorudo’s longevity. Having a properly fitted gi not only provides comfort, but it limits the advantage your opponent may have if your gi has any extra fabric or bagginess for them to grip onto. The Goorudo gi is prewashed and preshrunk to give their customer a great fit and it limits the surprise of shrinkage after washing. One negative aspect of the Goorudo gi is that it is not tapered like the other competition gi’s on this list. Hayabusa has designed the Goorudo with patches, embroidery and contrast stitching that has made it an attractive looking gi. However, the amount of patches and embroidery placed on the gi jacket and pants may be too much for some potential customers. Kingz is an established brand the in the BJJ community. They upgraded their beginner tier Basic gi with features that make it optimal for everyday training. It is a middle of the road gi in terms of its thickness. The gi jacket has medium thickness and comes with 10 oz. cotton pants. Customers who struggled to find a properly fitting gi should look into the Kingz Basic gi because of how Kingz has adapted some of its gi sizes to have dimensions that are more suitable for tall and husky individuals that are commonly stuck between gi sizes. A unique feature from Kingz is the type of lapel they use. Their lapel is composed from a special blend of synthetic rubber that has the benefits of faster drying and being less susceptible to bacterial growth. Their gi is very comfortable to wear. The Basic gi has its weak points reinforced and Kingz used cotton taping for its interior seams. In addition to those great features, the Kingz Basic gi has reinforced knee padding, thick cord drawstrings, and 6 belt loops. 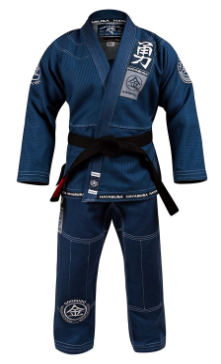 The Pearl gi is Gameness’ best selling uniform that comes with a mid-weight gi jacket and 12 oz. twill pants. Gameness made the Pearl gi pants with a cotton and polyester blend to increase its comfort without sacrificing their long-term durability. A modern feature included in the Pearl gi is the rubber collar, which is quicker to dry and absorbs less sweat than the traditional collars. The combination of the Pearl’s thick gi jacket and sturdy collar provides the terrific benefit of being more difficult for the opponent to grip and manipulate during sparring. 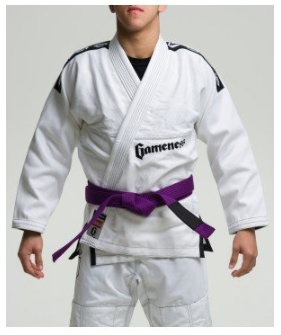 The Gameness gi has an overall clean look with its limited use of patches and embroideries. However, it does have a weirdly positioned embroidery on the chest that might be unattractive to some customers. This Pearl gi is not preshrunk, so be extra careful on how you wash and dry it off.